When I first got to the Czech Republic, one of my initial instincts was to connect with people from my country of origin. 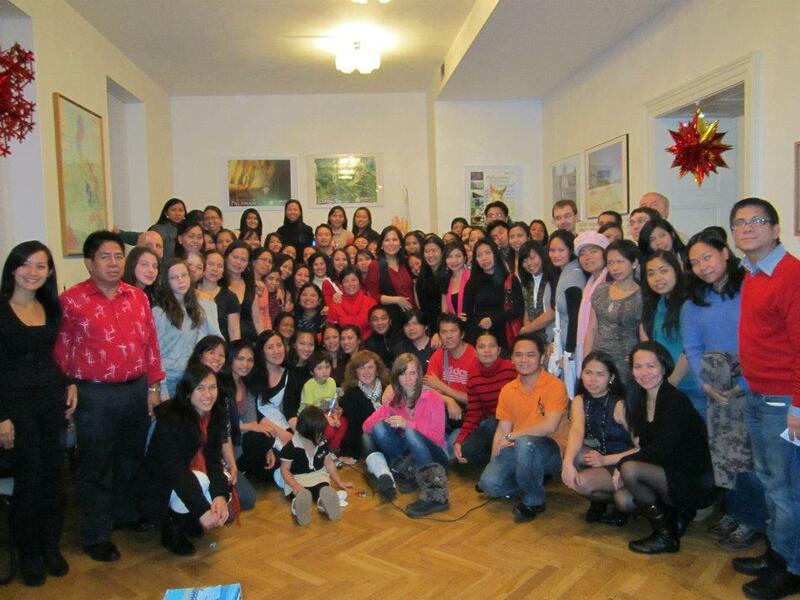 Through facebook, I found “Pinoys in Czech Republic,” an informal group of Filipinos living in CZ. I regularly visited the site, participated in some discussions and eventually attended a Christmas Party organized by the Philippine Embassy in December 2011. When the organization was formed during that party, I volunteered for a position in the newly formed “Filipino Czech Association.” (FCA) It is interesting to note that although the climate in the Czech Republic does not sit well with us people from the tropics, there are actually 350 of us currently living in this country. On May 26, 2012, we shall be formally launching the FCA. FCA’s objective is to promote camaraderie and goodwill among Filipinos, Czechs and other nationalities in the Czech Republic. It also aims to promote Philippine culture and tourism and facilitate the integration of Filipinos into Czech culture. To do that, it will organize solid activities, programs and events that will promote Philippine culture and tourism, on its own, or in partnership with the Philippine Embassy in Prague and other legal entities in the Czech Republic. It will also conduct other programs or events that will help promote social awareness and development. If you are currently living in the Czech Republic, and would like to know more about the FCA, consider this as a personal invitation to the Launching Party. More info on that event can be found here.